Apple AirPlay 2 arrives on Naim Mu-so wireless speakers | What Hi-Fi? 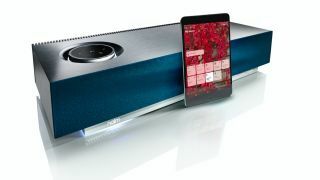 Naim Audio has introduced Apple AirPlay 2 to its Mu-so wireless speaker range, gifting them direct streaming from Apple devices, multi-room functionality with other AirPlay 2-supporting speakers, and Siri voice control. The Mu-so Qb (£595) – the more affordable model in the two-strong range – can be updated now, while the firmware update for the Mu-so (£895) will be available from tomorrow (Wednesday 14th). The Naim app should prompt users to perform the over-the-air update. Users will need to have their Apple source device running on IOS 11.4 or above. The Mu-so Special Edition (£995) is also being gifted the feature, as is Naim’s Uniti range (including the Uniti Atom, Uniti Star and Uniti Nova) ‘later this month’. So what will your Mu-so have that it didn’t before? Apple AirPlay 2 lets users stream music from an iOS device to more than one AirPlay 2-supporting product, whether that’s another Mu-so or, for example, an Apple HomePod smart speaker. You also get access to Siri voice control via AirPlay 2, so you can ‘ask’ your Mu-so(s) to, say, play certain songs or play a film on Apple TV.